The shotgun is probably the most versatile survival firearm on can possess. It has unparalleled versatility. With a change in ammunition it can take down large game or small birds. High quality firearms can be found for reasonable prices, ammunition is affordable and it is the one weapon where you get to practice on moving targets. To keep this discussion from turning into an encyclopedia I will keep the discussion to firearms available to the average person (Sorry Perazzi, Kreighoff, Kolar and others). I will also keep it to the more common gauges, specifically the 12ga and 20ga and I am going to limit the discussion to break open, semi-automatic and pump shotguns (Yes someone will want to talk about their grandfathers old bolt action .410, I won’t do it). Let’s also skip the differences of field gun vs a trap gun. Here are some things about shotgun manufacturers. Browning owns Winchester. Beretta owns Benelli, Franchi and Stoeger. Stoegers are Brazilian made. CZ distributes Turkish made Huglu shotguns in the US. I am also skipping he Kel Tec KSG Shotgun because we have already reviewed that product on Survival Cache (Click Here). The break open shotguns are simply those that break open on a hinge to accept or remove shells. This class includes over under, side by side and single shot. They can come with single or double triggers and can come with barrel selectors. They are simple to maintain and a high quality firearm can go 150,000 rounds or more without a failure. The over under and side by side shotguns often come with interchangeable chokes and therefore each barrel can have unique shooting characteristics. The disadvantage to the break open shotguns is they are limited in the amount of rounds they can fire without reloading. The quality and prices vary dramatically in this class. You can easily $2000 and up for a firearm in this class. If your goal is target shooting then I would suggest something on the heavier side. 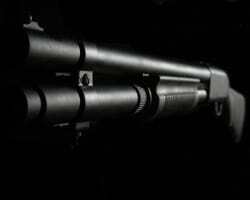 The perceived recoil on a shotgun that weighs almost 9 pounds is significantly less than one weighing in at 5 pounds. Granted there have been advances in recoil pads to assist in managing recoil but it does not eliminate the problem. My Browning 725 Sporting Clays weighs slightly more than my son Beretta White Onyx but is has significantly less perceived recoil. I can shoot 150 rounds at the sporting clay range and be fine. He on the other hand will be feeling the recoil. I own a Cynery Feather Weight 20 gauge. I purchased the firearm thinking the deep inset recoil pad and the claim of a 25% reduction in perceived recoil would make this an excellent firearm to teach women how to shoot. I was wrong. Shooting a 7/8oz load in this firearm is still punishing. I now custom load 3/4oz loads that travel at 1150fps and this helps to reduce the recoil significantly. Think of the physics. For every action there is an equal opposite reaction. Then think of energy is equal to mass times velocity squared. If you compare a 12ga 1oz load at 1250fps with a 20ga 7/8oz load at 1250fps you will see that the energy created by the 20ga is only 1/8th less than the 12ga yet most 12ga shotguns weigh almost twice as much as a 20ga.You can purchase low noise, low recoil ammunition to assist with managing the recoil. They work fine in the break action shotgun because the shells energy is not used to cycle the action. As for reliability, my children were on a shooting team in high school, we also shot in a trap league because of this I got to see every type of shotgun possible. The Browning’s and Beretta’s work flawlessly. The Mossberg Silver Reserve and CZ over and under shotguns are fine. The Stoeger over under shotguns all failed. They were simply not built to handle thousands of rounds. Semi-Automatic shotguns have a single barrel and most have a magazine tube that holds extra shells. There are some semi-automatic shotguns like the Russian made Saiga that have detachable or even drum magazines. The semi-automatic shotgun comes in two basic cycling actions. They are either gas operated or recoil driven. In the gas operated version some of the expanding gasses from the shell discharge are bled off through ports in the barrel to a piston that ejects the shell and loads the next shell. The recoil driven models are often called Kinematic drive or Inertia driven. Regardless of the name the action is the same. The recoil of the shell discharging is used to drive the bolt back thus ejecting the spent shell and loading the next shell. Regardless of the method both systems bleed off energy from the discharging shell to cycle the action thereby reducing the perceived recoil of the firearm. These shotguns do take maintenance to keep them functioning properly. Since the recoil driven model do not bleed off carbon filled gasses they tend to remain cleaner. They are also easier to take apart and maintain. That does not mean they don’t need to be cleaned. They do! A while back I went to Argentina to do some bird hunting. The guide service told me that I did not need to bring a cleaning kit and I didn’t. That turned out to be a mistake. After several day of hard shooting in harsh conditions my Benelli SBE II started to have cycling problems. I was lucky that another hunter at the lodge did have a cleaning kit and I was able to resolve the problem. The gas operated shotguns are even dirtier. They bleed off carbon filled gasses to cycle the action. Now some people will say that you can go thousands of rounds without cleaning the piston and gas ports. Since I don’t shoot my gas operated guns often I feel compelled to clean them every time I shoot them. To put this in perspective, I can clean my Benelli’s and my Browning A5 in 20 to 30 minutes. They will be immaculate, oiled and ready to go. To clean a Beretta AL391 or Browning Gold Hunter to the same level will take me several hours. I know you are going to say I am excessive. I am. I admit it. I just don’t like dirty guns in my safe. Semi-automatic guns are extremely versatile. Most can shoot light target loads as well as heavy game loads. Some of them offer slug barrels for big game hunting. The reliability of the semi-automatics is certainly less than the break open and pump shotguns. This is not to say they are unreliable. To go back to my Benelli SBE II, I started having cycling issues with the shotgun even though it was clean and oiled. I sent it back to Benelli and they determined that I wore the springs out. The good thing it was still under warranty and they did the repair for free. They did tell me that they springs have an expected life of 10 – 15 thousand rounds. So, I started buying target guns and I leave this one for hunting. I may be a few years behind in this line, so correct me if I am wrong. When Cerberus Capital Management bought Remington the quality started to go down. I have known people needing to send their 1187’s and 1100’s back because the roll pins fell out. Several years ago there was a demo days at one of our local shooting ranges. I felt sorry for the Remington representative because most of their firearms failed. I hope they have corrected their manufacturing issues. I like to see American gun manufacturers succeed. Another of the local ranges purchased CZ semi-automatic shotguns for rentals. They all suffered from reliability issues and he was going to dump them. As far as prices go they run from roughly $400 for a CZ, $800 for a Remington 1187 to $2000 for an upper end Benelli. This class of shotguns is one where the cycling action of the firearm is controlled by the operator pulling the fore-end back towards the receiver to extract the spent shell and then forward to load the next shell. They are generally single barreled and have a magazine tube to hold extra shells. The cycling rate is therefore controlled by the speed of the operator. With a little practice I have seen some pretty fast people with a pump. The perceived recoil of the shotguns is more than the semi-automatics because they do not bleed off energy from the shell. Many of the guns we would call tactical shotguns, riot guns, self-defense guns fall into this category. They will have extended magazine tubes and short barrels (Remington 870 Mag Extension). Many ‘non-tactical’ guns also have accessories for extended magazines and shorter barrels making them easily convertible. You can also get tactical furniture for many of these guns as well (Magpul Shotgun). Interchangeable tactical barrels are also available (Click Here). As you can see the links above are all for the Remington 870. This is probably the highest production pump shotgun ever manufactured. Many purists would say that the Winchester Model 12 is the best pump shotgun ever made and I would agree. However, Remington determined how to make a reliable shotgun at a fraction of the manufacturing cost of the Winchester and that ended the Model 12. From a reliability perspective the pump shotguns perform well. I was pheasant hunting in South Dakota and our guide was using an old Remington 870. He was roughly 60 and the shotgun belonged to his father. He had been using it for many years after his father’s death and he never cleaned it. The only thing he did was to spray some WD-40 on the slide. It still worked! I would say it was sluggish but it would still cycle. I cleaned it for him and when I took it apart the slide was like road tar. Also keep in mind the US military uses a variant of the Mossberg 500 for combat. 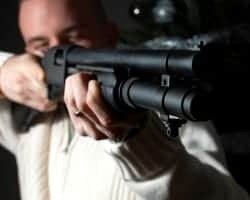 Most major gun manufactures have pump shotguns and guns in this category include the: Benelli Nova, the Remington 870, the Mossberg 500, the Browning BPS, the Winchester SXP as well as many others. The cost of these shotguns are the lowest in the range with a Remington 870 running a little over $300 and a Browning BPS Camo costing roughly $800. I was teaching a group of people from work the basics of clay target shooting and one of the people brought their Saiga shotgun. The poor guy struggled to hit a clay target. Based upon the stock and the sights I would rate this gun as a poor choice for trying to bring home dinner if that dinner was flying. On the other hand that Saiga had a 20 round drum magazine that would be a huge advantage over the tube magazine shotguns. Some of the drawbacks for the shotgun in a tactical situation are relatively low rates of fire; low ammunition capacities and long reload times. 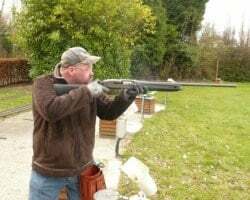 The advantage to the shotgun in a tactical situation is the hitting power. Hitting someone with a 1 oz slug traveling at 1400fps will incapacitate anyone. Even if the slug does not defeat the body armor the energy transfer will cause significant damage. To put in perspective, a recent American Hunter magazine had an article about the proper gun for protection from a grizzly bear. They used the 4 3 1 rule for an effective handgun. That was over .40 caliber, over 300 grains of bullet traveling at least 1000 fps. A 12 gauge shotgun is 73 caliber, a 1oz payload is 437.5 grains and shells traveling over 1400fps are common. So, a 12 gauge shotgun shooting a slug will have more than enough energy to knock down a grizzly bear. Imagine what it can do to a human. The shotgun is probably the most versatile firearm ever created because of its ability to use a variety of ammunition. The ammunition can be the above mentioned slug with enough knock down power to drop a grizzly bear down to a light load with the power to drop a dove while leaving enough to eat. To give you an idea of the range a 1oz load of 9 shot has roughly 585 pellets while the same 1oz in BB holds 50 pellets. Then think of buckshot. It got its name because it would kill a buck deer. Then there is all kinds of specialty ammunition. Most of this ammunition I take as a gimmick. The incendiary round I feel is too dangerous. Living in the Western United States, where forest fires are common, I see this as a forest fire waiting to happen. If you are in a SHTF situation where there are no fire departments or water you could easily destroy yourself from this type of round. This is not to say that all specialty ammunition is a waste. I like the door breach rounds and I like the steel slug. I think the steel slug would be an effective way to stop a vehicle at close range. Something else to consider is the size of the shot. Years ago I read an article from an army doctor who studied shotgun wounds and ammunition. 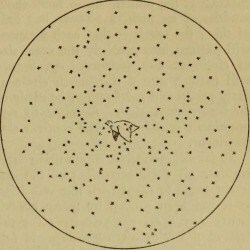 In his study he determined that light bird shot 7 ½, 8 and 9 could be defeated by a heavy winter coat. He also determined that large shot such as buckshot, F, T, BBB, BB and B could go through a person and cause unknown damage beyond the threat. He determined that #1 shot was the most effective shot on a human at close range. It would defeat any clothing and cause the maximum amount of damage without going completely through the individual. I no longer have access to that paper but please comment below if you know where we can find it. Pointing a shotgun down a hall will destroy everything down the hall. This probably came from some action movie and has zero bases in reality. At 20 feet the pattern is probably closer to the size of a baseball. If a shotgun sprayed pellets like they portray in the movies then nobody would every miss a close shot and they would never be able to make a long shot. The pattern would spray so wide so fast there would not be the pattern density to do any damage. The other myth is chokes don’t matter. Bull! For those that don’t understand chokes here you go. 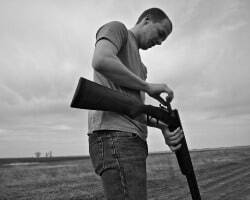 A choke is designed to squeeze the shotgun pellets together right before they leave the barrel. The theory goes that the tighter the constriction the tighter the pattern. You should choose your choke based upon the required pattern density. The closer the shot the more open the choke and the further the shot the more constricted the choke. This is a good article that shows the expected pattern density at 40 yards (Click Here). Thanks for reading, I hope I have improved your knowledge about shotguns.